Studio Four undertook full architectural duties to provide level access for all users of the building within the improved waiting area, to allow access for all to the new entrance, and to give a new street frontage, presence and identity to the entrance. The new entrance uses a new palette of materials comprising: Grey Aluminium windows; composite wood cladding; single ply membrane and render to match existing. This will seek to distinguish the building and provide an identity and also to modernise and harmonise the existing frontage. 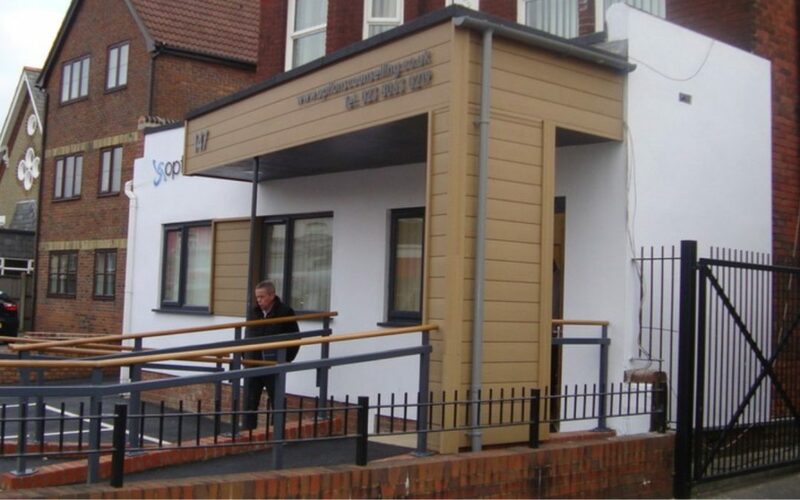 The form is generated from the need to provide a sign/frontage as well as shelter to the entrance to the building.